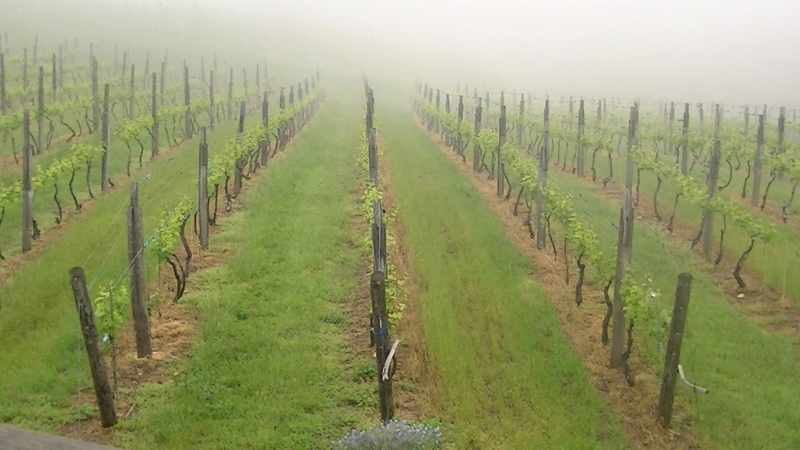 From May 4th-6th, about 40 wine bloggers and writers visited several wineries in Virginia as part of TasteCamp 2012. We caught up with the group the last day at Linden Vineyards where proprietor Jim Law lead a vineyard tour and discussed their signature Hardscrabble and Avenius wines. This was easily the most informative tour I've participated during the past decade visiting wineries. The music is provided by The Steel Wheels: Nola's First Dance written by Jay Lapp.